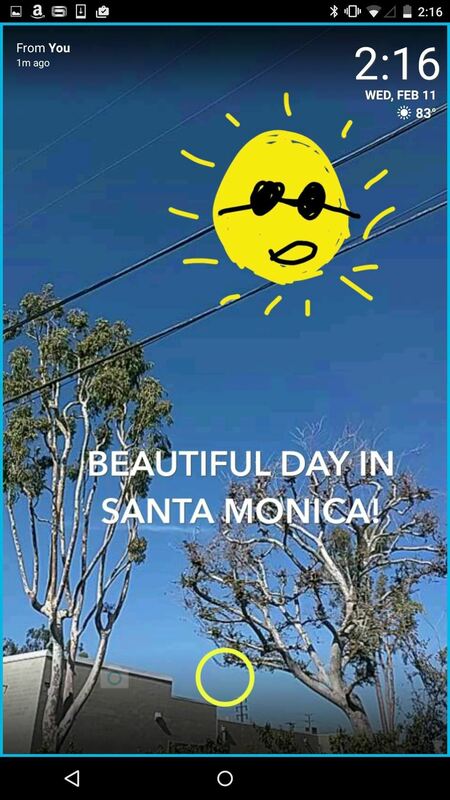 While shortcuts to your Camera and third-party apps like Snapchat are great for capturing fleeting moments, it still takes a few seconds to open them and snap a photo. That means you could potentially miss a great shot if you're not quick enough. But now there's a super-fast way to capture and send photos without having to waste time unlocking your device. ScreenPop Lockscreen Messenger, a free Android app from developer Locket, allows you to take, edit, share, and receive self-destructing photos all from the comfort of your lock screen—without having to unlock your phone. Note that the receiving party also needs the app installed (as is the case with just about all third-party apps these days), so make sure to share it with your friends. After installing ScreenPop, open it up and use your phone number to have a code sent to you, which will then allow you to enter the app without needing an email address or password. 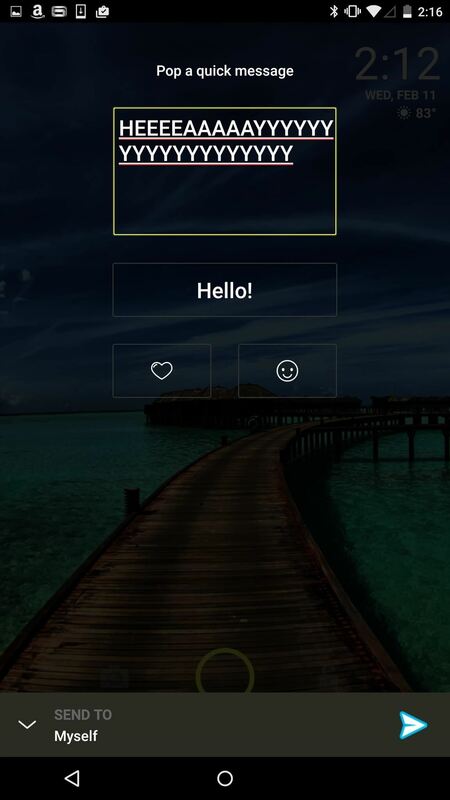 Your lock screen will then be replaced with ScreenPop's interface, which contains several icons for you to use to take photos, send messages, "favorite" a picture, look through your contacts, and unlock your device. 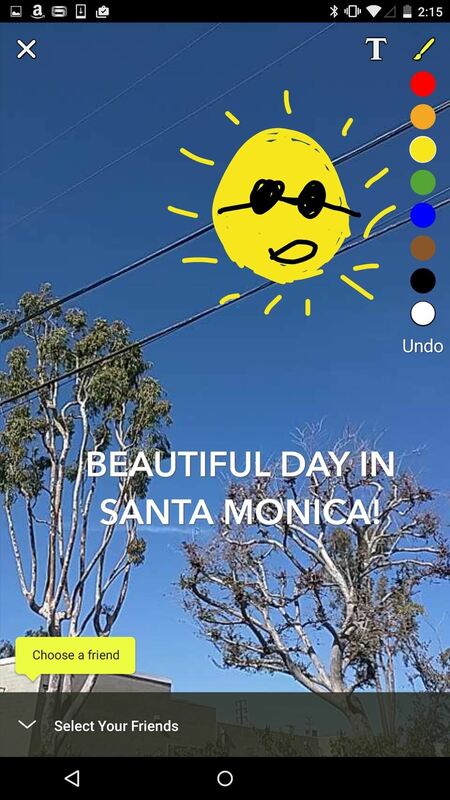 After you take a picture with either your front or rear camera, you can add text as well as draw on it with your finger, just like you would in Snapchat. From the bottom left, select which friends you want to send it to and tap on the arrow icon that appears when you're done. You can also just sent a message instead of a picture, with choices of your own message, a pre-written one, or a few emoji icons. Once you receive a picture, you'll only be able to view it on your lock screen; if you unlock your device, the picture will disappear. Fortunately, you can swipe up to the heart icon to favorite a picture, which saves it on to your device for later viewing. While the similarities to Snapchat are quite obvious, the fact that it lives only on the lock screen makes it easier to snap a timely photo, which you might not have time to take with Snapchat—or any other camera app—giving it a slight advantage in that aspect. 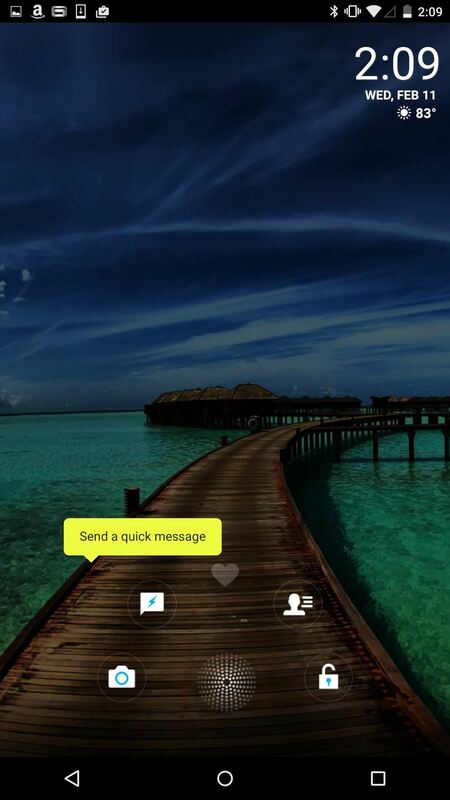 Check out ScreenPop Lockscreen Messenger on Android for yourself and let us know your thoughts on it with a comment below. And for more Android tips, make sure to check us out over on Facebook, Google+, and Twitter.